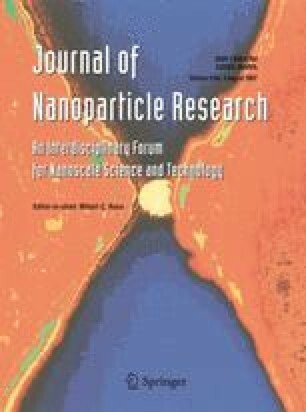 A novel synthesis of inorganic–organic hybrid films containing well dispersed and almost uniform size Ag nanoparticles in agar-agar matrix has been reported. The films are found to be highly stable for more than a year. The colloidal particles of Ag can be obtained in large quantities in the form of a film or in the gel form when dispersed in agar-agar or by dissolving in a suitable solvent as solution. Characterization has been done by UV–visible spectroscopy and TEM. The hybrid may be of interest to study third-order non-linear susceptibility.